A labeled conceptual/explanatory diagram. 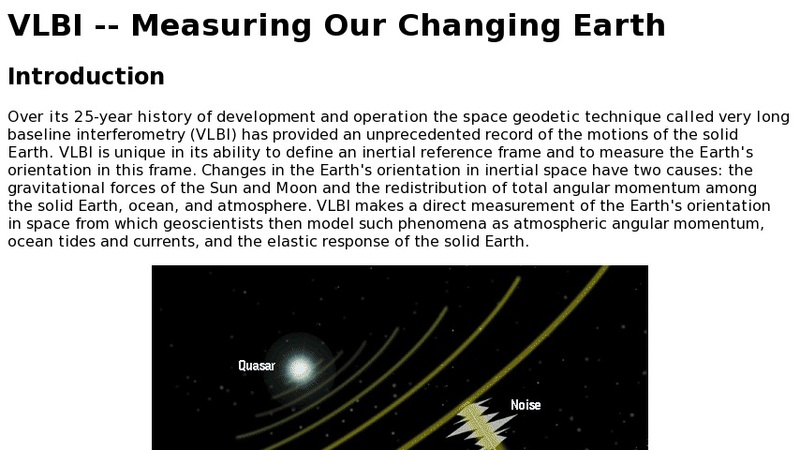 Text describes the mechanics of VLBI and has links to information on the history of VLBI, current VLBI usage (which is outdated to the 1990's), and the future of the project. Though some information is dated, the visuals and conceptual information is useful and accurate.